The Great Northern Diver remained at Wykeham South Lake this morning, and there was another, together with 5 Red-throated Divers in Cornelian Bay. A Great Northern Diver was also seen in the harbour in the early afternoon, plus 2 Guillemots. 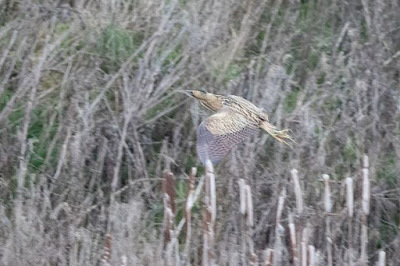 In the morning a Bittern was seen flying then landing back in the reeds at Seamer Tip Pool, where a Pink-footed Goose was also seen later in the day. 7 Waxwings were again present in Church Lane, Thornton Dale.